Porsche released the 356A in October 1955, which was the first major variation in the Porsche 356 line. While the 1956 Porsche 356 looked very similar, it actually was quite an update. The most obvious changes being slim rocker rub rails and a one-piece curved windshield. Roadster, Coupe and Speedster models were continued. The Speedster’s top-frame bows rose approximately 2.5-inches. Perhaps one of the key changes was the change from 16 to 15-inch diameter wheels with a new 4.5-inch breadth. Tires were more fat to accommodate. The interior also saw several changes, the most significant being a new flat-faced panel dash. 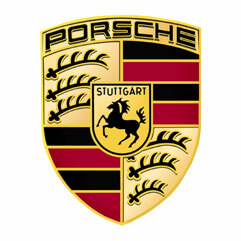 At this time, Porsche also updated its engines to offer a 1300 (normal and super), a new 1600N and 1600S, and the 1500GS. It would be the great pleasure of ER Classics to assist you in purchasing your 1956 Porsche 356. ER Classics has the industry connections and resources to help you find the Porsche of your dreams. Having helped many clients in this endeavor, they offer the following tips. First, be sure to do your research on availability and value. Second, its important to correctly differentiate between 356A, 356B, 356C and 356 Pre-A models, as this can determine the value. Last but not least, it is always a plus to have documentation regarding owner history, restoration and maintenance. Should you have any questions or would like to browse the Porsche inventory currently available at ER Classics, please browse this website.